Known for both his paintings and stained-glass windows, Marc Chagall rose from humble beginnings to become one of the world's most renowned artists. Admired for his use of color and the powerful emotion in his work, Chagall led a career that spanned decades and continents, and he never stopped growing. 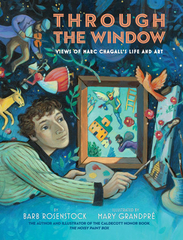 This lyrical narrative shows readers, through many different windows, the pre-WWI childhood and wartime experiences that shaped Chagall's path. From the same team behind the Caldecott Honor Book The Noisy Paint Box, which was about the artist Kandinksy, Through the Window is a stunning book that, through Chagall's life and work, demonstrates how art has the power to be revolutionary. Empowering and timeless, What Can a Citizen Do? is the latest collaboration from the acclaimed duo behind the bestselling Her Right Foot: Dave Eggers and Shawn Harris. 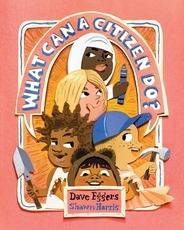 This is a book for today's youth about what it means to be a citizen. 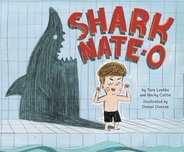 Across the course of several seemingly unrelated but ultimately connected actions by different children, we watch how kids turn a lonely island into a community—and watch a journey from what the world should be to what the world could be. 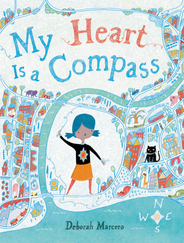 This is a book about what citizenship—good citizenship—means to you, and to us all. 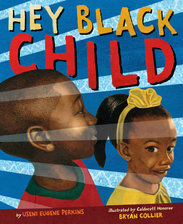 Six-time Coretta Scott King Award winner and four-time Caldecott Honor recipient Bryan Collier brings this classic, inspirational poem to life, written by poet Useni Eugene Perkins. This lyrical, empowering poem celebrates black children and seeks to inspire all young people to dream big and achieve their goals. 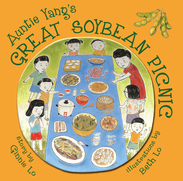 A Chinese American girl's Auntie Yang discovers soybeans--a favorite Chinese food--growing in Illinois, and their family starts a soybean picnic tradition that grows into an annual community event.